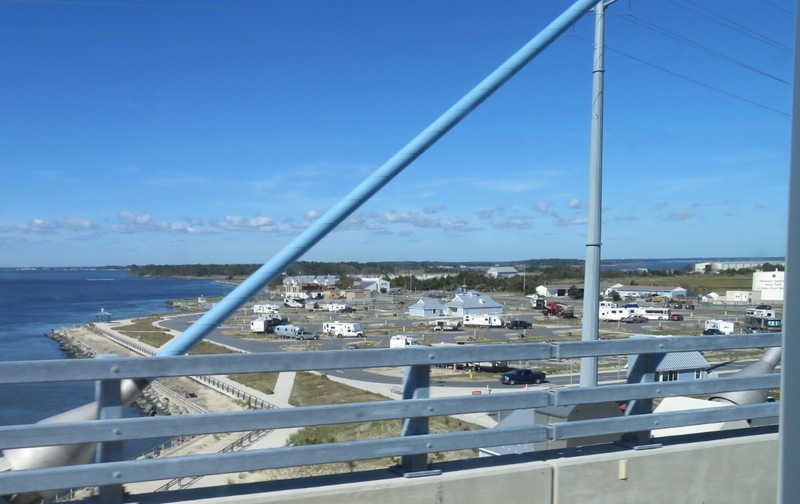 By 11:00 o’clock, we were packed up and getting a new perspective on the Indian River bridge, this time going over it. 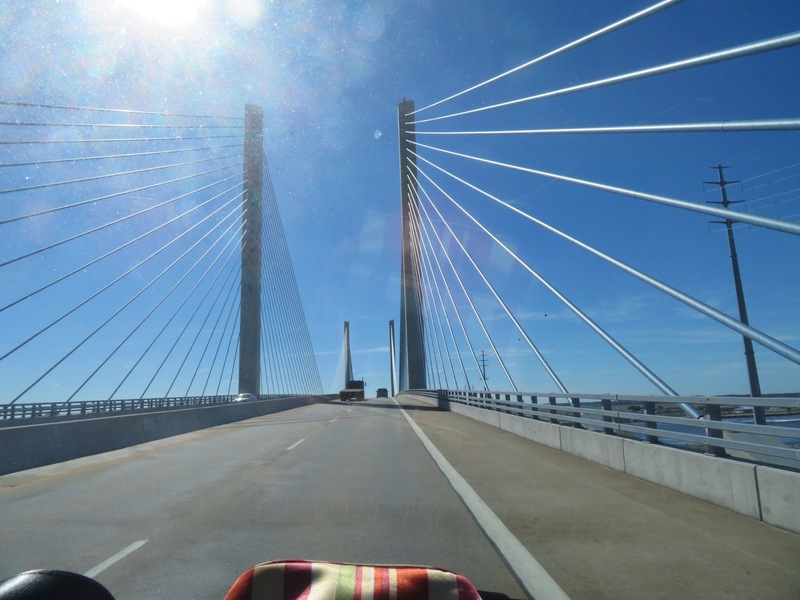 Looked back on the camp from above and drove through Delaware and into the fine state of Maryland. 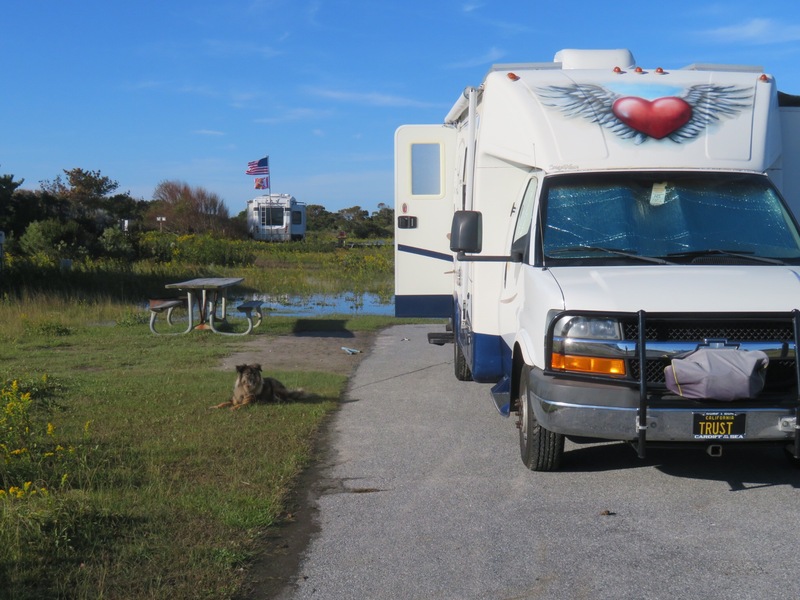 Goodbye Delaware Seashore State Park! 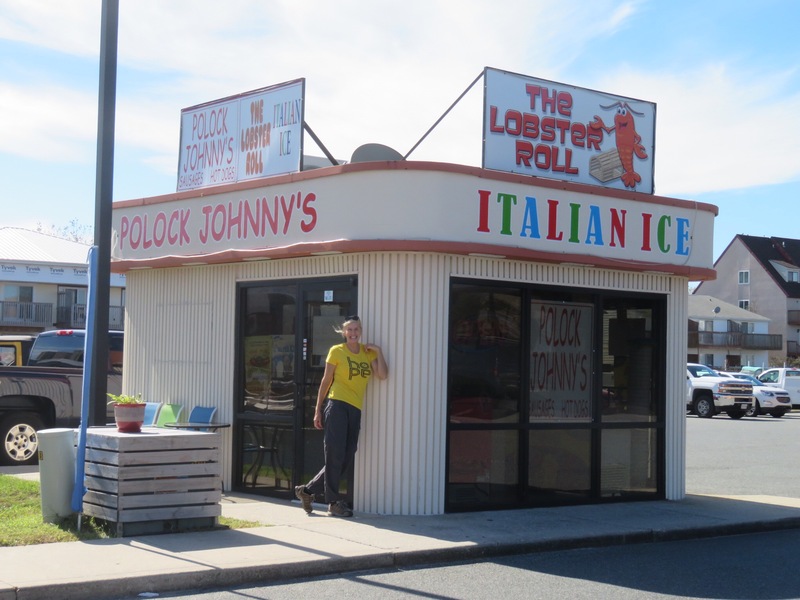 We stopped in Ocean City to stock up on groceries and hit the post office. 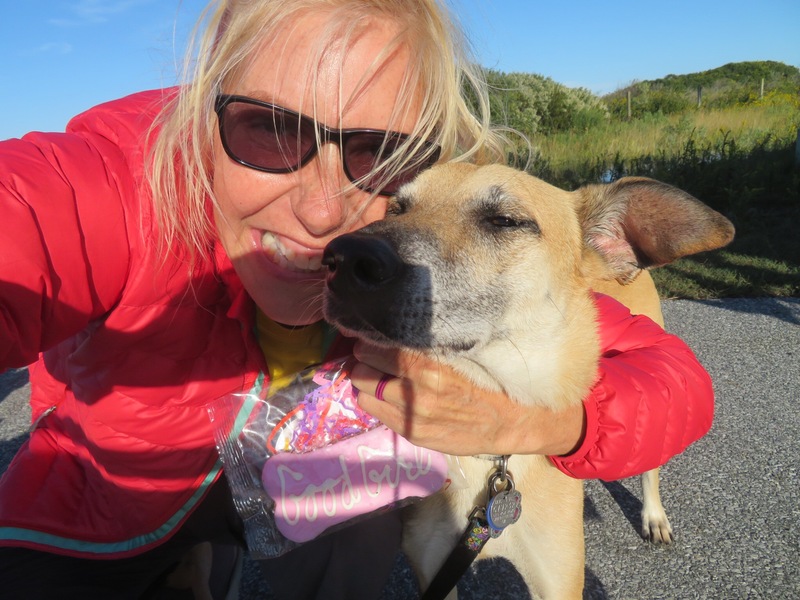 PJ badgered me into stopping at the Candy Kitchen so she could pick up a variety of sweets, even some for the dogs. 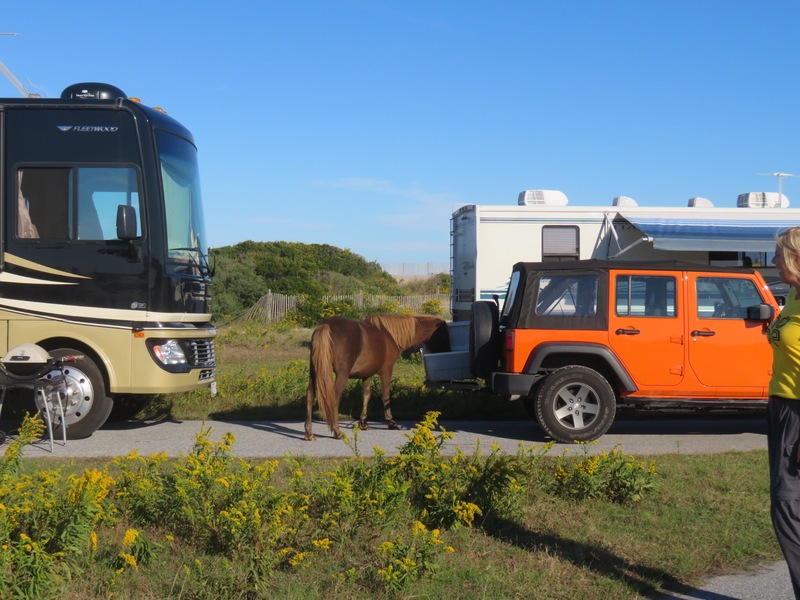 It was just a short hop from Ocean City to Assateague Island, home to bands of wild horses. We pulled up to the state park and went into the office to be treated brusquely by a humorless girl working behind the counter. Many of the sites are flooded from Matthews visit last week, so they found us a semi-dry one in section H, one of the few areas where pets are allowed. I was surprised at how many people were camping here. We are fairly close to the neighbors, I think it seems more so since there is very little vegetation and half of our campsite is under water including the fire ring. 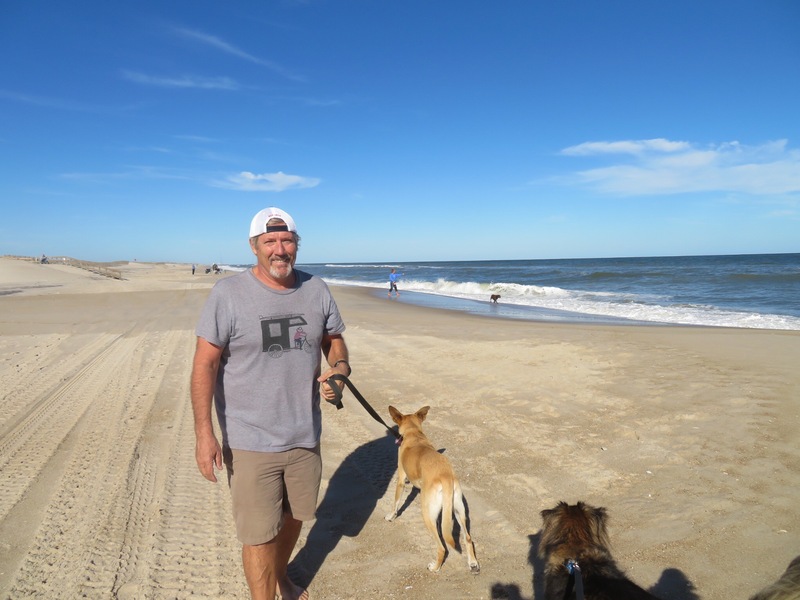 As soon as we parked, we took the dogs out to the beach which is only a few yards away over a dune and what a beautiful beach it is! Soft white sand stretching as far as the eye can see in either direction. We took a walk and breathed in the clean salt air. We returned and set up camp. While PJ arranged our belongings inside, I took Cali for a walk to check out the bath house. I never made it there. 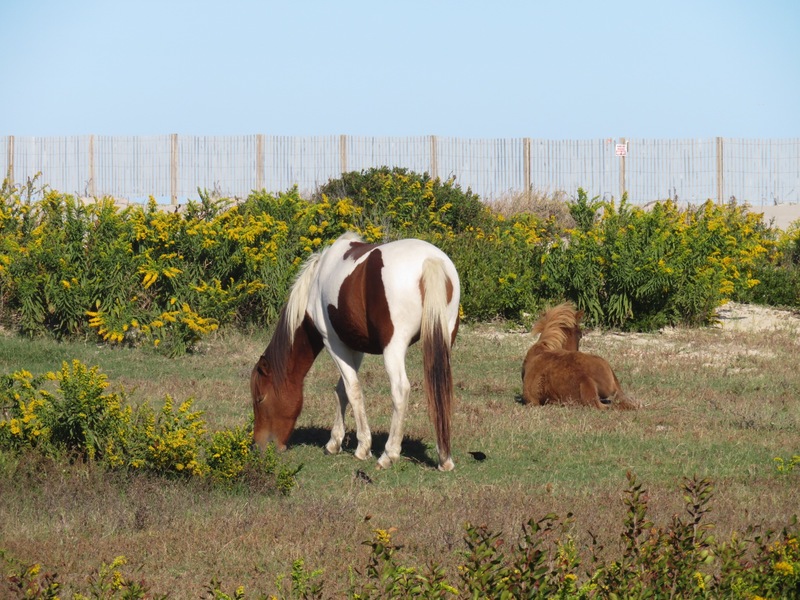 In the lane next to ours, there were a pair of wild ponies grazing next to someone’s camp. I grabbed the camera and took a few pictures. 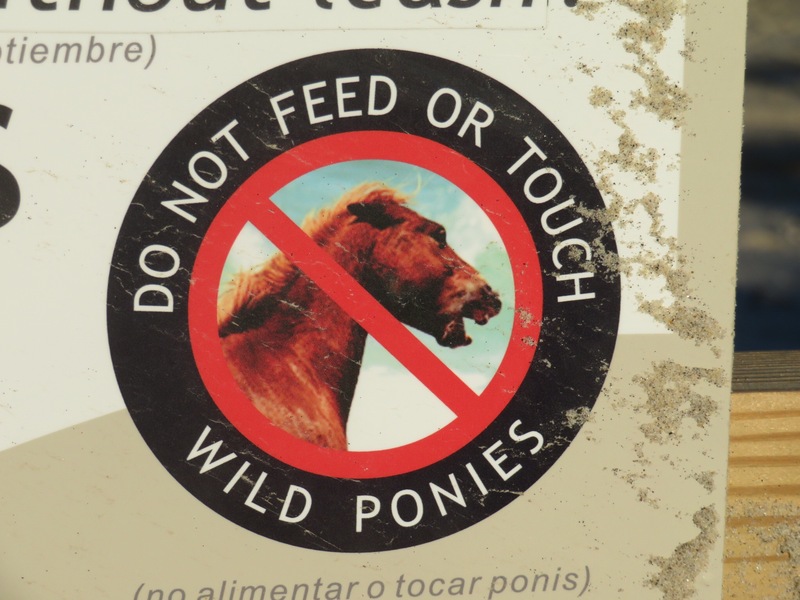 When I got back to our spot, we saw another pony raiding someone’s camp and they were fending him off with a broom. 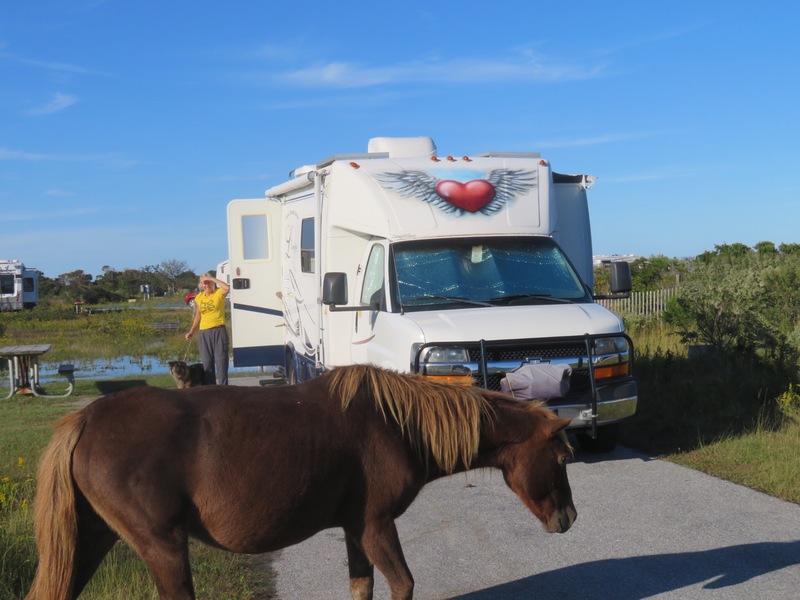 The pony came over our direction and strolled right through our camp. 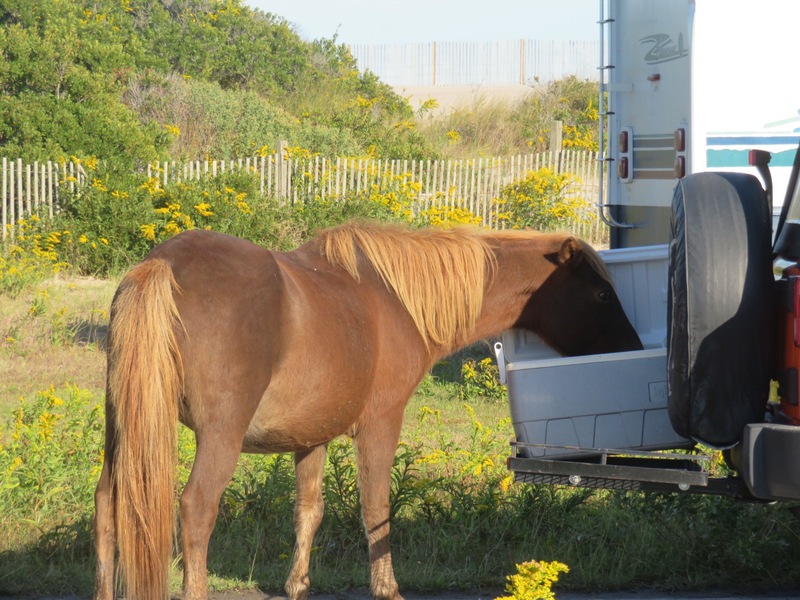 The neighbor had a cooler on a hitch cargo tray and the horse went right to the cooler and opened it up with his nose and poked his head inside. I guess they didn’t have anything to his taste because he closed the cooler and walked on down the beach. 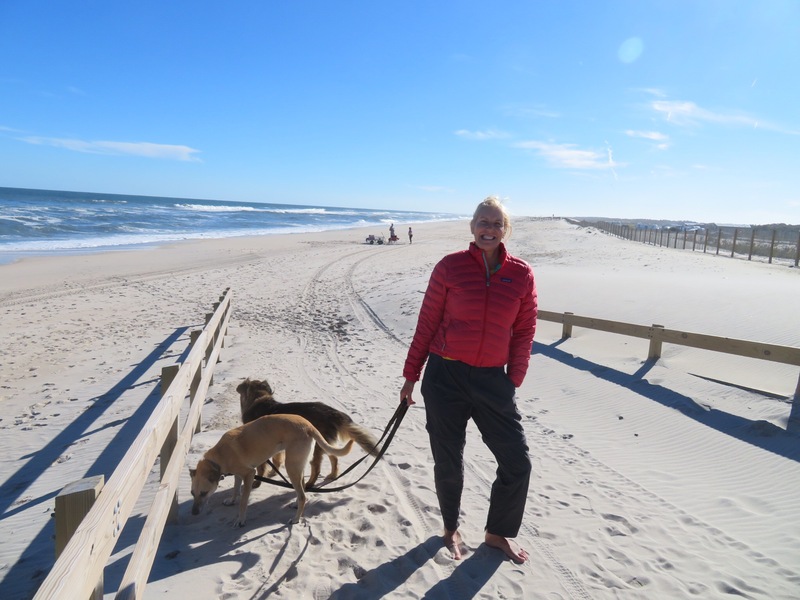 We relaxed in our watery camp site and PJ gave the dogs their cookie treats and we hung out in lawn chairs overlooking the dunes. My back is still not 100% so I took it inside and nursed it a bit. An early night for these vagabonds.